Responding to recent innovations and regional plant supply changes, Northfork Native Plants has expanded its product line to include other custom products and sometimes hard to find native plant materials. Growing out from our focus on high-quality native wetland and riparian plants, we also offer a wide range of mesic and xeric plants to address most any revegetation challenge. 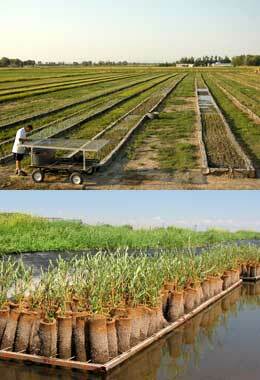 In addition to our full spectrum of native containerized plants, we continue to experiment with coir (coconut fiber) and have recently developed deep-rooted willows and wildlife islands. Given appropriate lead time, we can collect seed and custom grow plants best suited to a particular site. Expanded offerings ensure that we have the right products to satisfy most demands from the restoration and landscape industries.